As a national law firm dealing with cases concerning medical negligence, it is no surprise that occasionally a pattern of negligence emerges, names start to become common and geographic areas can be identified as having a large number of claimants. This happened in 2015 when a dentist from Nottinghamshire called Mr Desmond D’Mello was investigated and eventually struck off the General Dental Council (GDC) register for having poor levels of cleanliness. There was another example in 2018 when a dentist in Bury in Greater Manchester was suspended by the GDC for failing to diagnose and treat one of his patients with periodontal disease (gum disease). Recently another name has become noticeable. Mr Andrew Holliday; a dentist from Cheltenham in Gloucestershire has recently been suspended by the GDC for failing to diagnose and treat numerous patients with obvious periodontal disease and a vast array of other dental complaints. The number of enquiries has been increasing as local newspapers reported the GDC suspension. Unsurprisingly hundreds of patients have been seeking second opinions from other dentists in the region and many are facing significant and, more to the point, expensive remedial treatment. 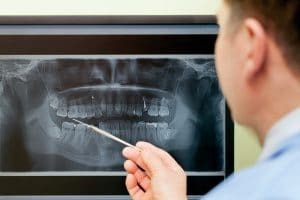 How can legal action help me if I have received negligent dental treatment? As a claimant law firm, we bring claims against dentists who have treated their patients negligently. This can be hugely beneficial to those that have received negligent dental treatment, and I can provide you with an example of this. One of my clients needed root canal treatment. She went to her dentist who offered her the treatment on the NHS, this would be a band 2 treatment costing £59.10. Root canal treatment done correctly can last a long time. The purpose of root canal treatment is to disinfect the canals of the teeth and get rid of an infection. My client’s dentist performed the procedure negligently. This means that it fell below the standard expected of a reasonably competent general dental practitioner. As a result my client would lose a tooth. The tooth in question was a front tooth. It needed to be extracted and this extraction was both unnecessary and avoidable. What should she do? She asked the dentist for her options. She could pay a for band 3 treatment and have a denture or bridge made. She wanted something more permanent and enquired about a dental implant. Yes, she could have an implant but it would be expensive at over £2,000 for the whole procedure. My client thought that it was unfair that she needed the treatment and thought that the dentist may be to blame. She sought our advice and, after obtaining expert evidence we agreed. We obtained damages for her pain and discomfort but, most importantly, we recovered all of her future treatment costs relating to that tooth, including implant and crown costs and treatment cycles for life. She has lost a tooth as a result of negligence and she should not have had to bear the significant costs of someone else’s negligence for the rest of her life. If you think that you have received substandard care, I would recommend that you seek a second opinion from another dentist or a specialist. If you have been going to the dentist regularly for many years and suddenly you are being told that you have gum disease and/or need significant treatment, there is a strong possibility that your past treatment may have been negligent. You cannot have expensive restorative treatment, such as implants, on the NHS. You either fund it yourself or seek damages from the dentist responsible. If you have been treated negligently by anyone, including NHS staff, then you are entitled in law to sue for damages. However, in the UK individual dentists are rarely employed by the NHS. Most are self-employed and hold their own private indemnity insurance to cover their potential negligence. Indeed it is a requirement that they do. If you think that you have been treated negligently please contact us at today to discuss this further. You can speak to a member of our claims team for free, who will take details of your enquiry and discuss your options moving forwards. We understand how substandard care can have huge consequences; physically, emotionally and financially. We hope that when people receive any type of negligent dental care they understand that they have the right to ask why, and if necessary hold those responsible to account.